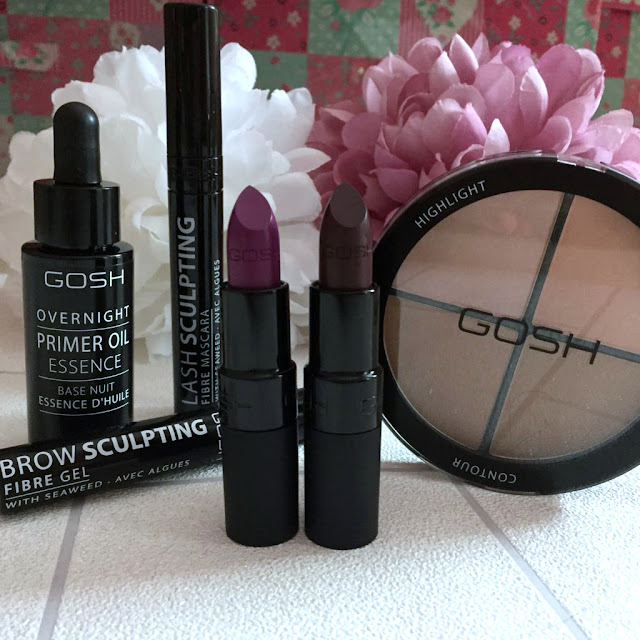 A couple of weeks ago I was kindly sent some products to try from the new Gosh Autumn/Winter 2016 range, I haven't ever tried anything from Gosh, so I was super excited to try the products and since I have been using them for a couple of weeks, I want to share with you both the products I received and my thoughts on them. 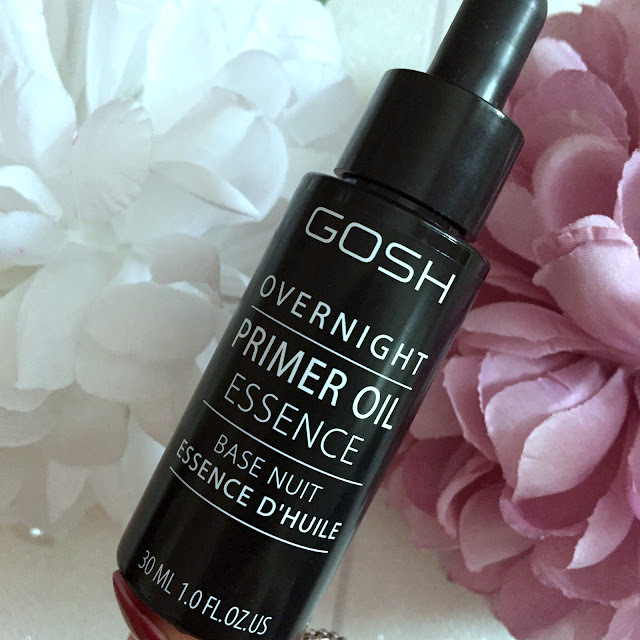 OVERNIGHT PRIMER OIL ESSENCE is an innovative night-time product. It is a product that builds a bridge between makeup and skincare. A primer formulated in a lightweight blend of oils, perfected to help the skin optimise the recovering and skin beneficial effects of sleeping. Prep skin while sleeping with OVERNIGHT PRIMER OIL ESSENCE and wake up with primed, de-stressed, calmed, soft, moisturised, luminous, and plumped skin. Use alone as a night primer or combine with i.e. PRIMER PLUS+ HYDRATION. 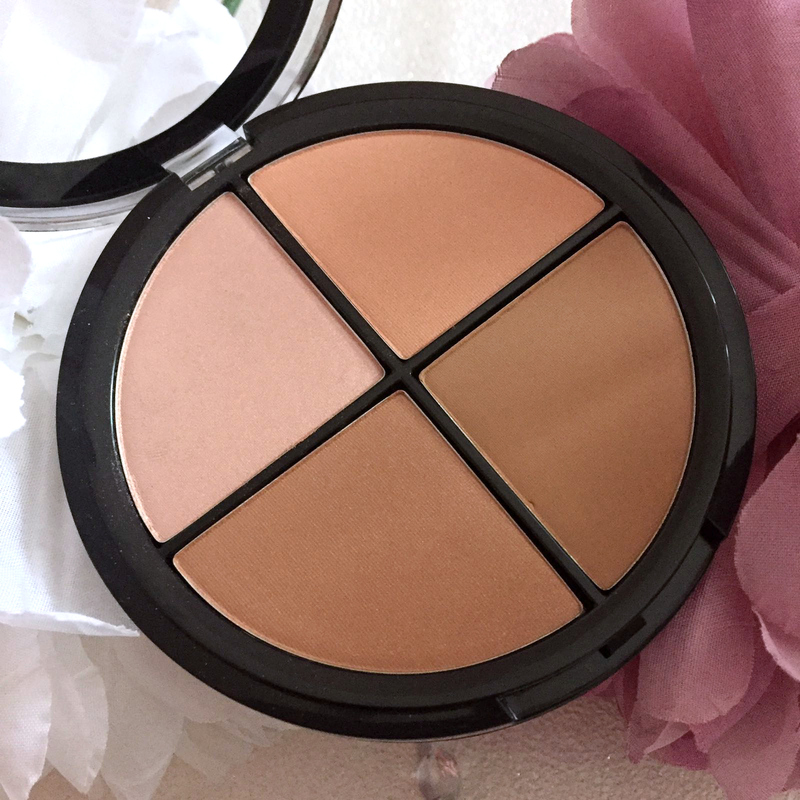 Both will result in a dewy, youthful complexion and a perfect finish for applying makeup. 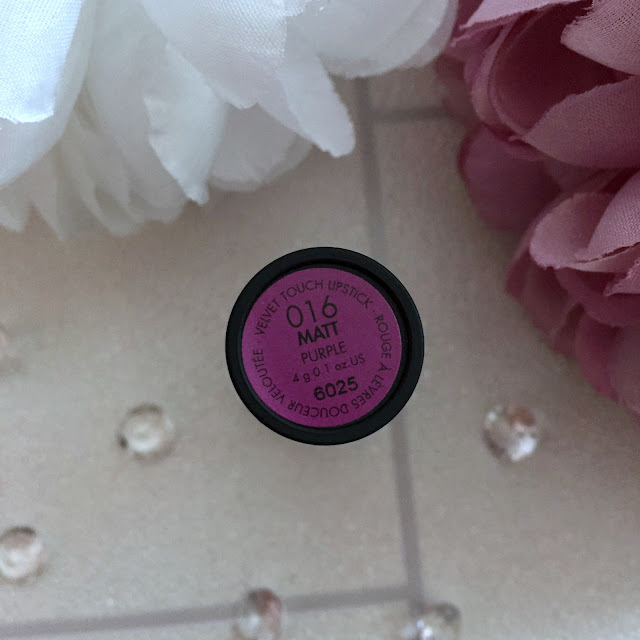 The first thing I noticed when I used the primer oil was that it doesn't have a scent which I really liked as I expected it to smell quite herbal and of lavender and as I really don't like the scent of lavender I was pleased. I applied the primer oil after finishing my usual evening skin care routine, the primer oil comes with a pipette style applicator which I filled and then gently squeezed the primer oil onto my finger tips, I rubbed my fingers together and gently patted the oil onto my skin. The oil was easy to apply and didn't feel too greasy, some facial oils are very greasy and I am aware of them on my skin until they absorb, but I didn't find this with the Gosh Primer Oil. I wouldn't agree though that the oil instantly absorbs into the skin, I have very dry and dehydrated skin, the oil took around half an hour to be completely absorbed but it doesn't feel heavy on the skin and I wasn't aware of the oil on my skin whilst it was sinking in so it wasn't a problem that it wasn't instantly absorbed. 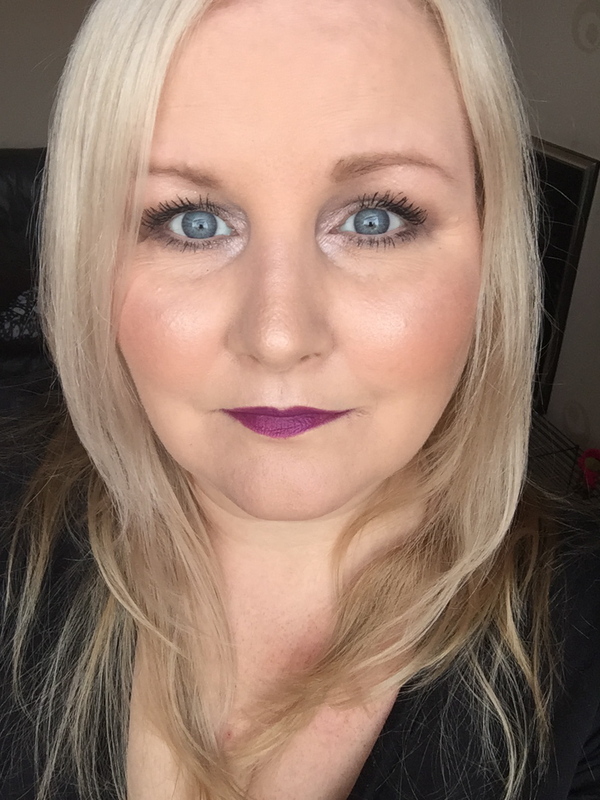 My skin felt lovely and soft in the morning, I used the Superdrug Micellar Tonic to cleanse my skin the following morning and my skin still felt lovely and soft and my make up applied beautifully. I have used the primer oil every evening before I have applied my makeup which is around 2-3 times a week and I really like it, I always apply it after my evening skin care routine and then let it absorb whilst I am relaxing watching TV before going to bed. My skin feels lovely and soft the following morning even after cleansing my skin and my makeup always applies beautifully, the Primer Oil Essence is a lovely product and especially if like me you have dry and/or dehydrated skin. You can find the Primer Oil Essence on the Superdrug website for £14.49 HERE. 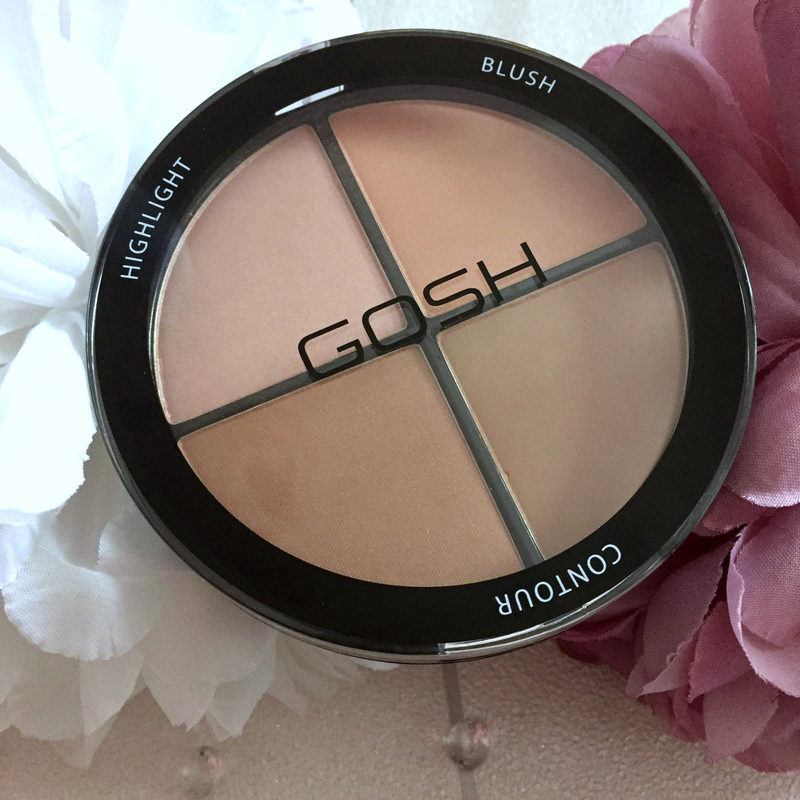 The Gosh Contour 'n' Strobe Kit in Light 001 is a 4 in 1 compact containing a highlight, blush and 2 contour shades, the kit is available in Light 001 and Medium 002 and I have the shade Light 001. I really like this kit and the first time I used it I was blown away by it, the pigmentation is incredible and all the shades are lovely and apply beautifully and have a buttery soft texture that blends effortlessly, they really are all stunning. The highlight is a beautiful champagne shade with a slight gold/peach tone to it, it is completely different to any other highlighters I own and it is really pretty, the blush is a stunning peach shade with a lovely shimmer to it that is just enough, I usually prefer a matte blush if I'm wearing highlight but I love the blush in the kit it compliments the highlight perfectly and they look stunning together. There are 2 contour shades, one has a slight shimmer and one matte, I prefer a matte contour but have been using the shimmer one as my bronzer and I have also used it as an eyeshadow and it is beautiful, in fact all 4 shades make lovely eye shadows, applying and blending beautifully, so this is a very versatile as well as stunning palette. As you can see from the swatches, the shades all compliment each other beautifully and they look stunning on the skin and enhance it perfectly. 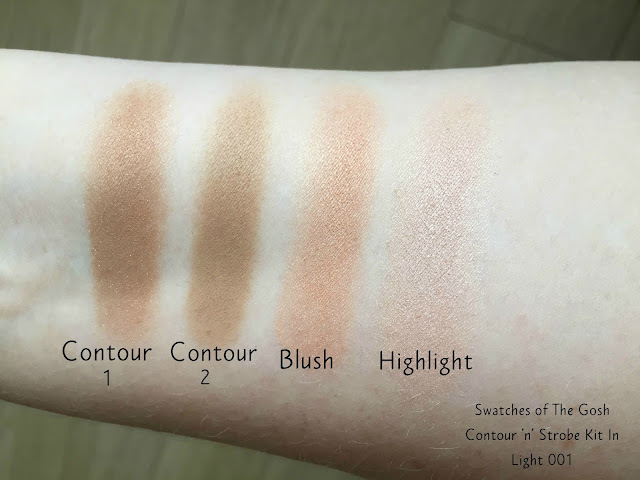 All 4 shades have excellent colour payoff and last all day, the blush and highlight don't accentuate my pores at all, they compliment my skin and give a flawless finish and my blush, contour and highlight look exactly the same when it comes to removing my makeup as they did when I applied it. 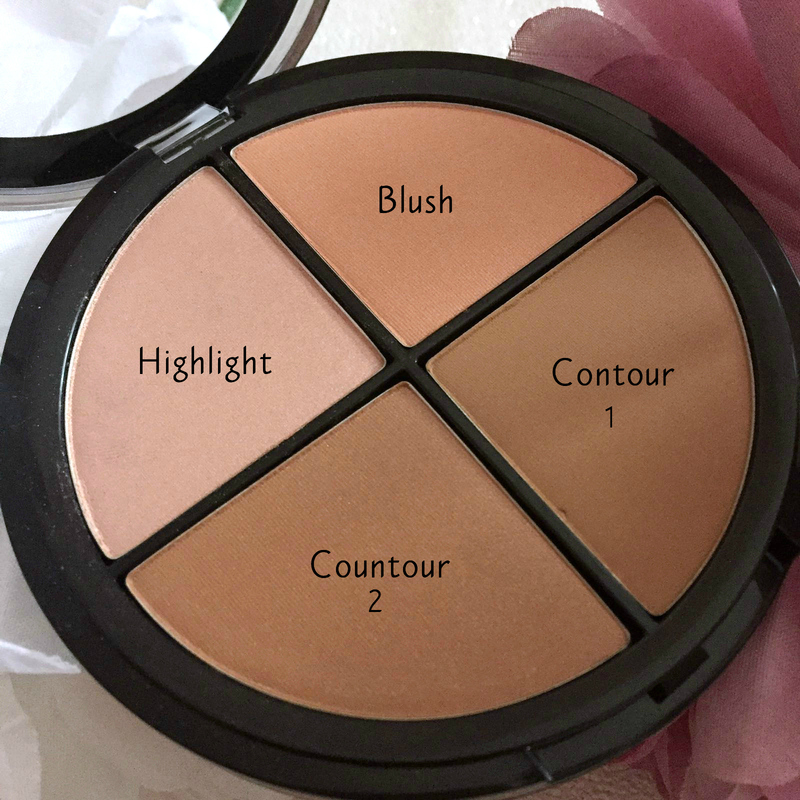 The Contour 'n' Strobe Kits are perfume and paraben free and being available in the 2 shades will compliment many skin tones. You can find the kits on the Superdrug website for £12.99 HERE. I have pretty pathetic eyelashes, they are short and sparse but they are good for testing mascara's because if a mascara can lengthen and make my lashes appear fuller then it's a good mascara. I also have a real issue with mascara transferring onto the socket bone of my eye, it happens with most mascara's unless they are waterproof. 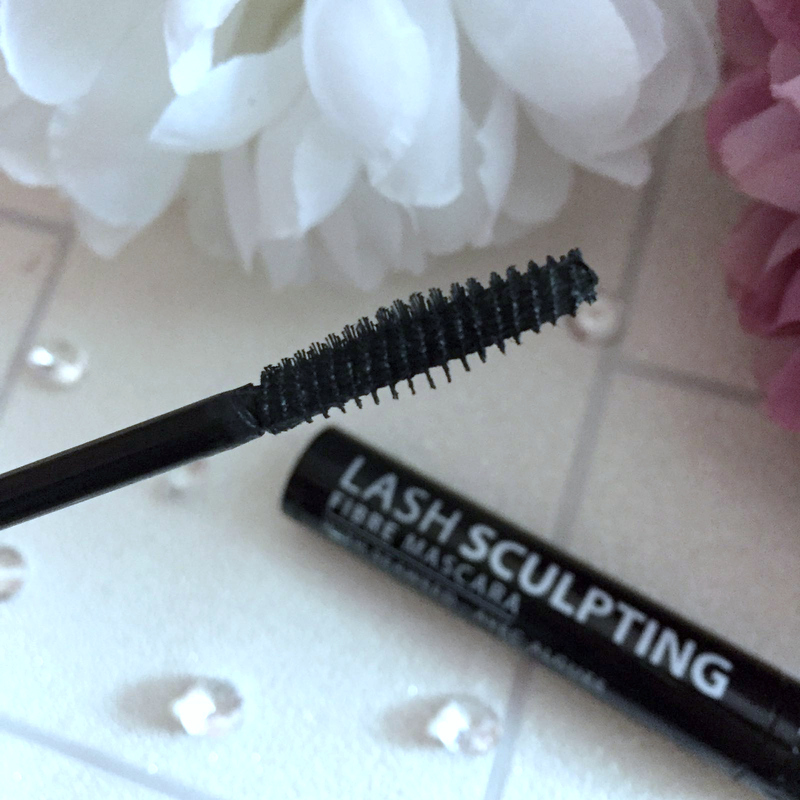 The Gosh Lash Sculpting Fibre Mascara in Black has a long thin bristle wand, I prefer a bristle wand as I feel they brush through my lashes better, the wand picks up just the right amount of mascara and is easy to apply, it isn't so long that it ends up all over the bridge of my nose but it gets right into the corner of my eyes to coat the tiny lashes. It coats my lower lashes well too and was easy to apply to the lower lashes also. 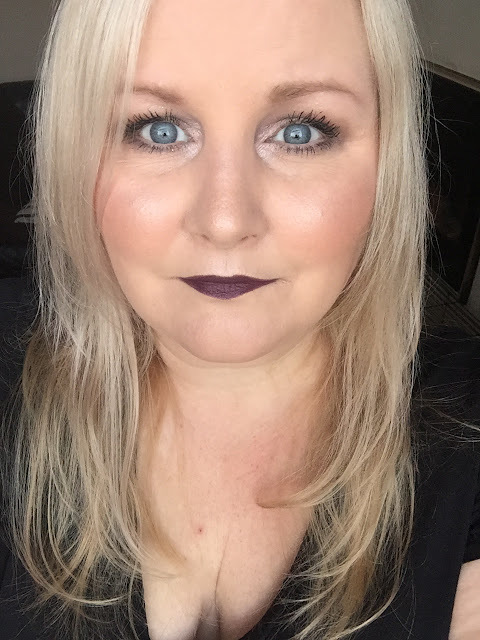 The first time I used the mascara, I was thrilled with the way my lashes looked and I have used the mascara every time I have applied my makeup since. My lashes look longer and fuller and look nicely fanned out and the mascara doesn't transfer onto my socket bone which is fabulous considering it isn't a waterproof formula. The mascara is easy to remove and I don't have to rub at my lashes to remove it, I have used micellar cleansing wipes, eye makeup remover and cleansing balm to remove my makeup when wearing the mascara and each have removed it completely without the need for rubbing. 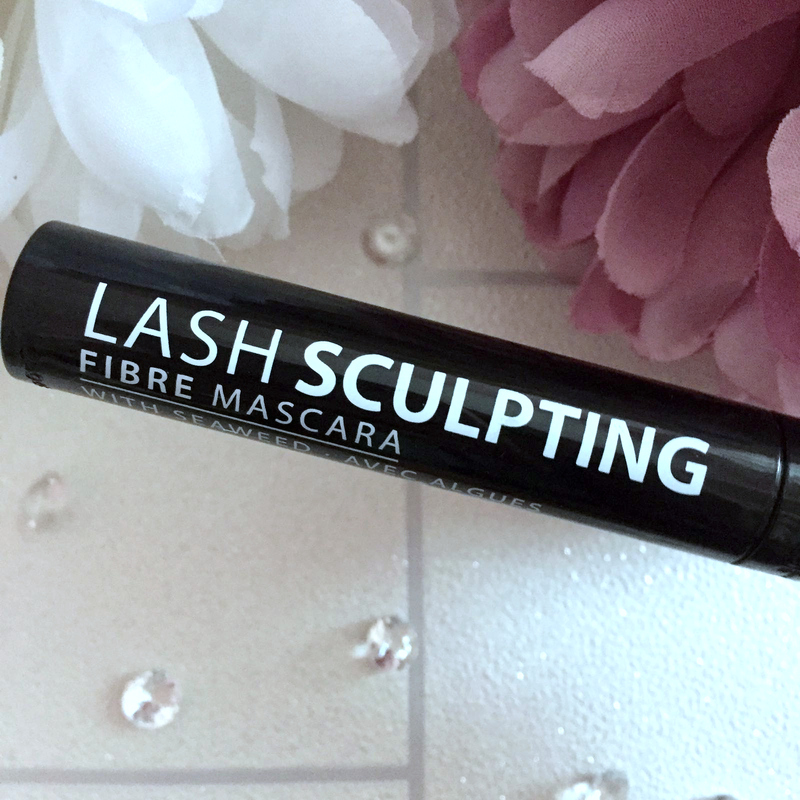 It is a brilliant mascara and makes my lashes look fabulous. You can find the Lash Sculpting Fibre Mascara on the Superdrug website for £9.99 HERE. I hadn't used a brow gel up until a couple of months ago and I wish I had tried one years ago because I adore them. I have my brows waxed and tinted and for a few weeks after having them done all I use to fill my brows in is a brow gel. 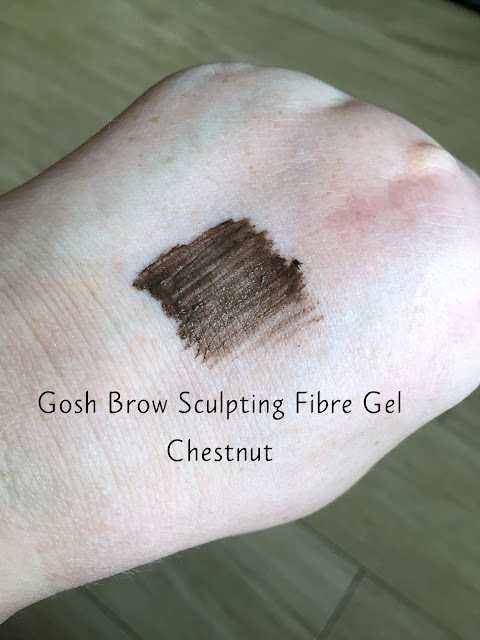 Unfortunately the shade Chestnut is too dark for my blonde brows so I haven't been able to wear it a lot but I have still used the Gosh Brow Sculpting Brow Gel at home so I could review it for you. 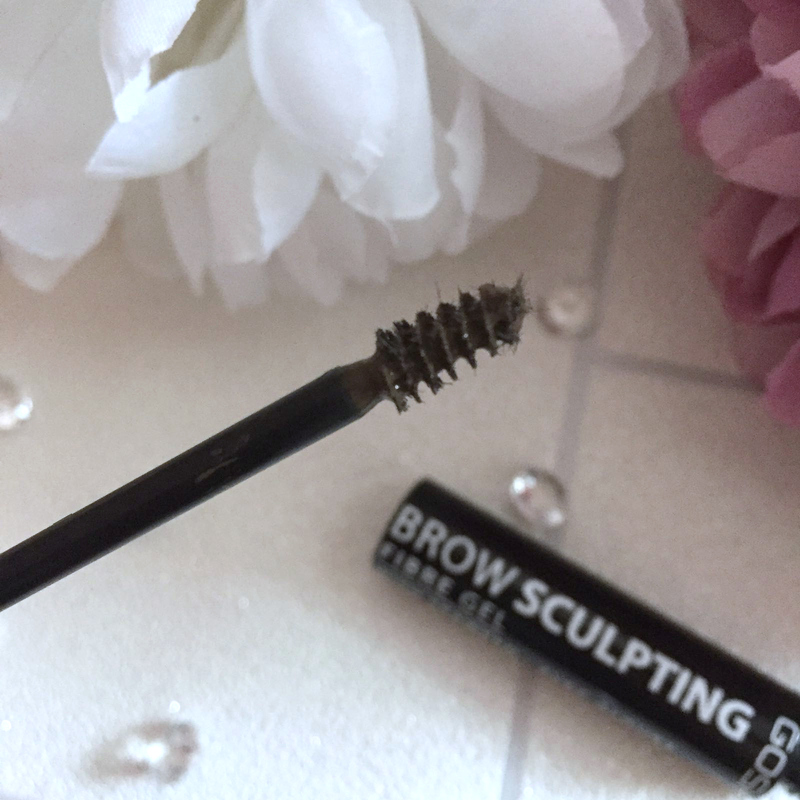 The brow gel has a tiny little wand which is brilliant for reaching all my brow hairs and filling in any sparse areas too. I simply dip the wand into the brow gel and then brush it through my brows, it's simple to use and my brows look great, it really is a brilliant product and is just as good as brow gels I have used that are 3 times the price of the Gosh one. The brow gel is a brilliant product, it is easy to apply and looks great and means your brows can look fabulous without spending a long time filling them in, I simply sweep the Brow Sculpting Fibre Gel through my brows and they're done. 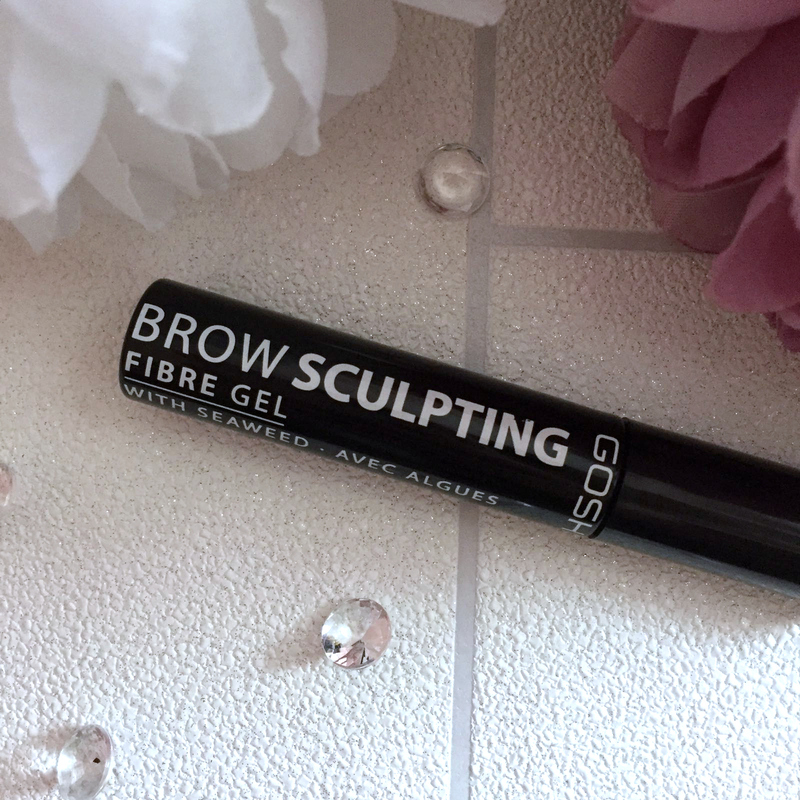 If you would like to try the Brow Sculpting Fibre Gel, you can find it on the Superdrug website for £6.49 HERE. 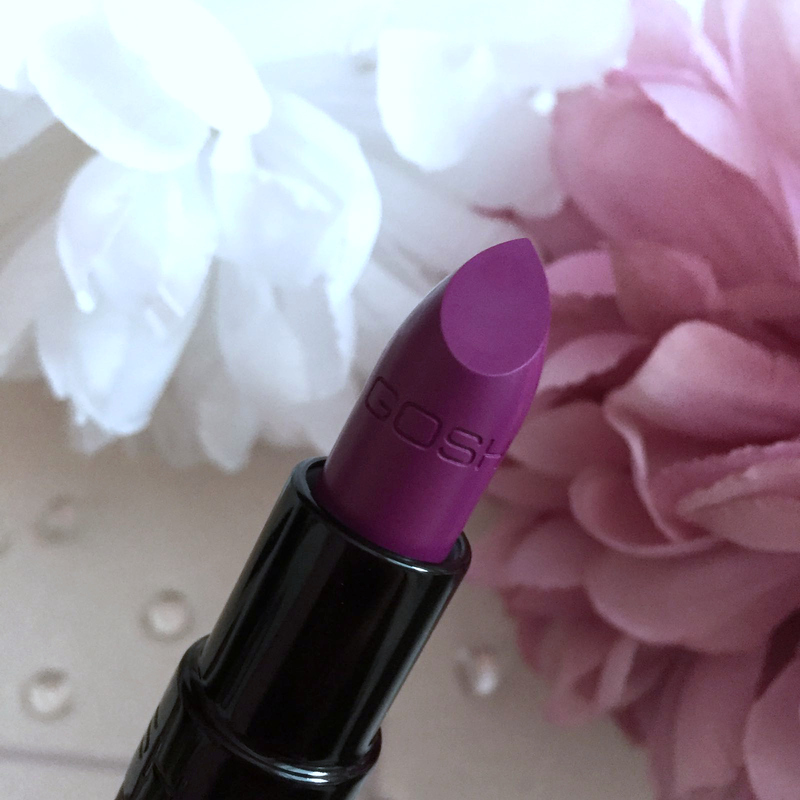 I love matte lipsticks so I was very pleased to receive two of the Gosh Velvet Touch Matte Lipsticks in the shades 016 Purple and 017 Clove. Purple is as you would imagine, a bright purple shade and Clove is a very deep berry shade, when I saw both lipsticks I worried they wouldn't suit me, I have tried deep berry shades during previous autumn/winter months and always thought they didn't suit me so I have stuck to bright reds and nudes over the autumn/winter months but I have never tried a purple lipstick, always assuming they wouldn't suit me, I was hesitant to try both shades but the first time I tried the lipsticks both my daughters and my partner Simon really liked them both on me and thought I should wear them more often as did all my friends. 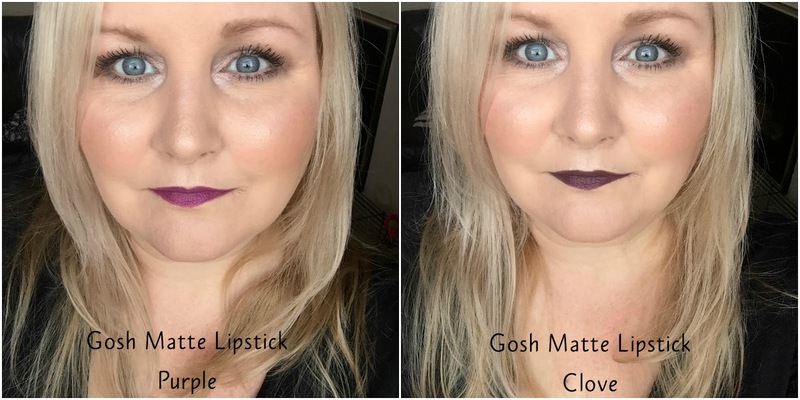 Both lipstick shades apply really well and feel lovely on the lips, they contain natural waxes to keep the lips moisturised and hyaluronic acid to keep the lips hydrated and smooth and they do feel incredibly moisturising for a matte finish lipstick, they don't feel dragging when I apply them and they are very comfortable to wear and are the most comfortable matte lipsticks I have worn. The lipsticks are highly pigmented and give a strong colour pay off which lasts for around 5-6 hours on me. The lipstick fades away nicely and does not leave an unsightly ring of colour around the lips. I really like the lipsticks, they apply well, they don't drag on the lips, they feel amazing, they don't bleed or feather and they last really well, there are so many shades in the range to choose from, there will be something for everyone, they are fantastic. 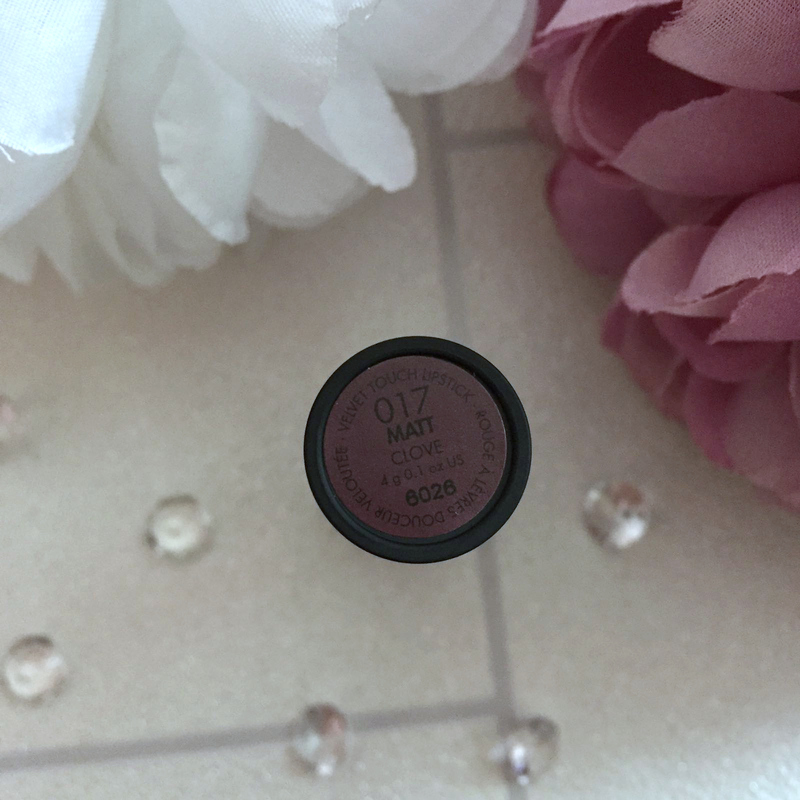 You can find the Gosh Velvet Touch Matte Lipsticks on the Superdrug website for £6.99 HERE. I absolutely adore all the products I received from Gosh and I will definitely be try out more Gosh products in the future, I can't believe I hadn't ever tried anything from the brand before, they are a fantastic brand and all the products I received are brilliant and excellent value for money, the pigmentation of the makeup products is incredible and they all apply beautifully, the colour pay of, application and wear time is the same as high end makeup products I own if not better and the primer oil is fabulous too. I highly recommend every single product I received and would 100% purchase them all again once they are coming to an end. If you would like to check out more products from the brand, you can find Gosh products online at Superdrug here. To create the look, I used the Contour 'n' Strobe Kit to contour my cheekbones, I used the blush from the palette and then used the highlight from the palette to highlight the tops of my cheekbones, under my brow bone, down my nose, my cupids bow and in the inner corner of my eyes. I used the Lash Sculpting Fibre mascara on my top and bottom lashes using 2 coats on my top lashes and 1 on the bottom and I have used the Velvet Touch Matte Lipstick in the shade 017 Clove. 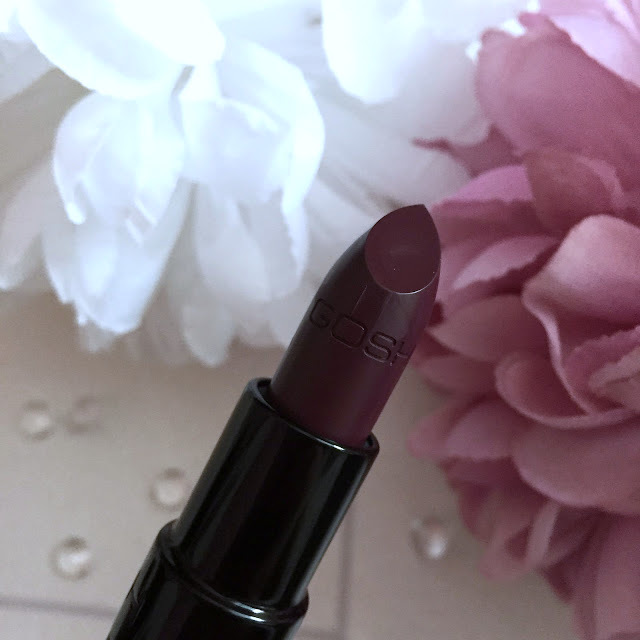 This look is exactly the same but I have used the Velvet Touch Matte Lipstick in the shade 016 Purple. I received so many compliments on both lip shades and I have had so many people ask me where my highlight is from, I posted a photograph on Instagram and Facebook of me wearing the makeup look and I got so many lovely compliments on the look, I hope you like it too. Have you tried Gosh products? What are your favourites? Let me know in the comments so I can put a shopping list together as I will definitely be checking out some more Gosh products soon.